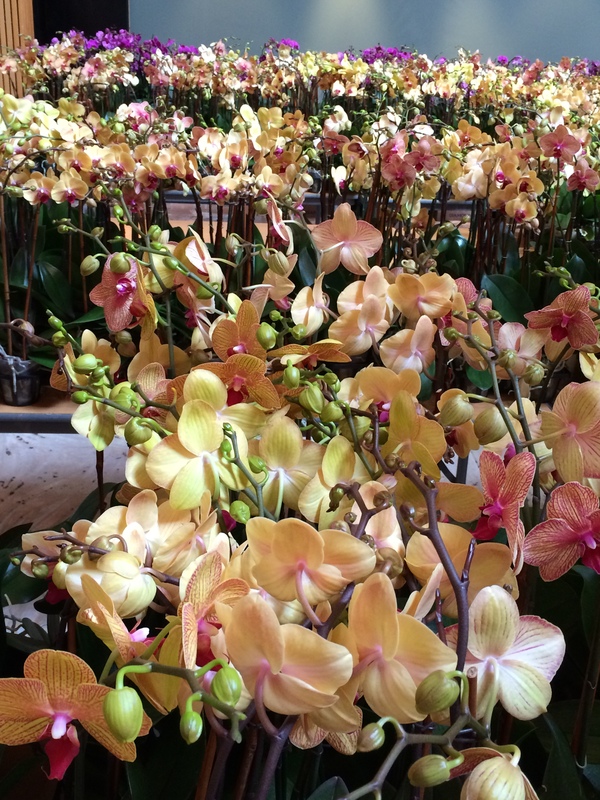 All hands are on deck as the last orchid shipments have been delivered, the ladders are lowered, the final moss gets tucked in, the lights get positioned, and the delicate task of watering and caring for 10,000 orchids begins. Behind the scenes, it’s been quite a production, and staff have been documenting it all. Their “befores” and “afters” give you an idea of the complex and wildly creative infrastructure that supports all those gorgeous orchids. Looking forward to seeing you there—and don’t forget your camera! 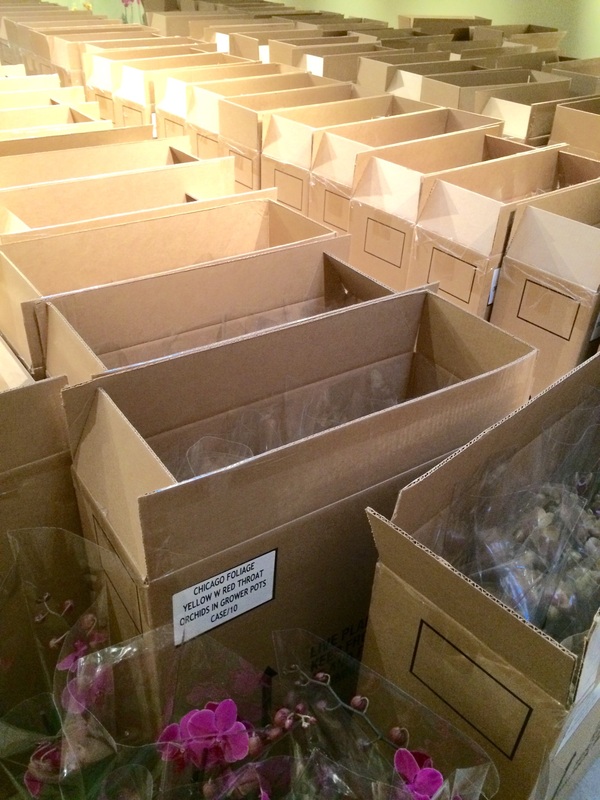 Unpacked orchids line tables as they await placement in the exhibition. 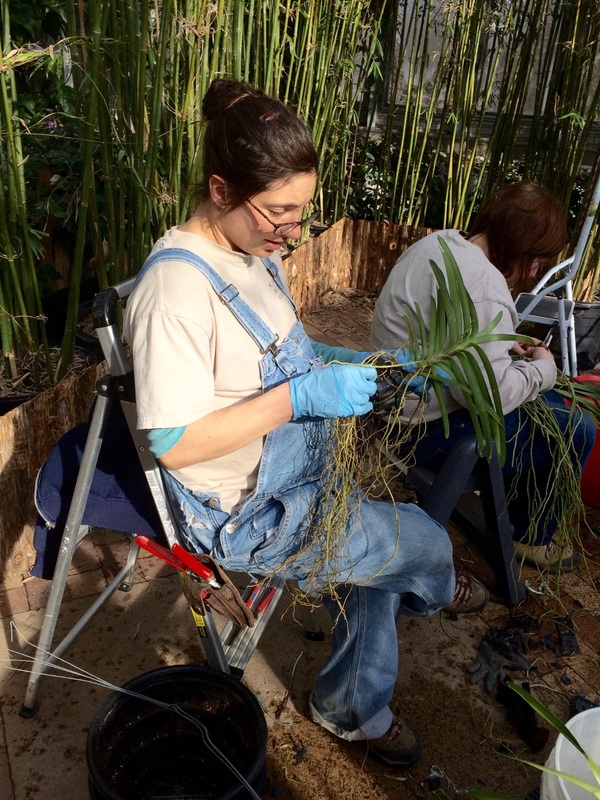 Patience and a horticulturist’s touch: root-bound Vanda orchids had to be teased out of not one, but two pots each, root by root. 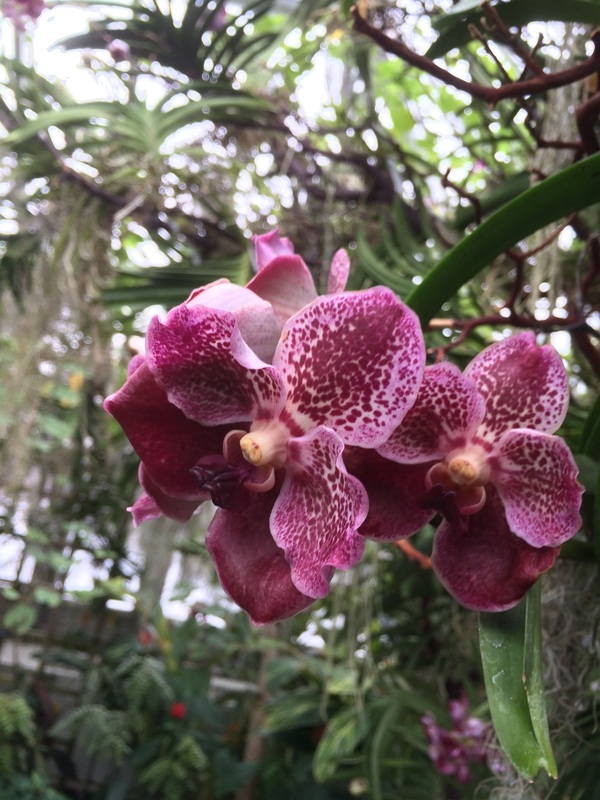 Each Vanda is then tucked into the displays in the Tropical Greenhouse. 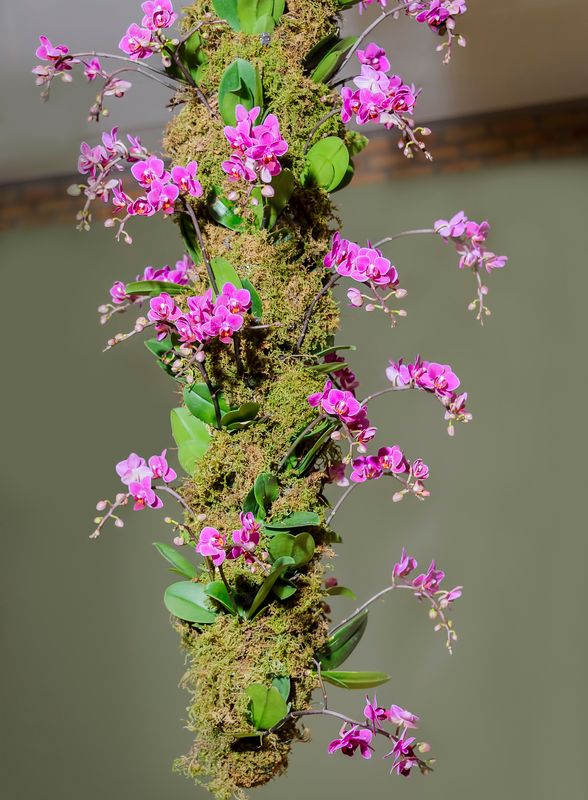 …then hung it inside the skylight as a backdrop for these “waterfall” chains of mini Phalaenopses. What a difference a week makes! 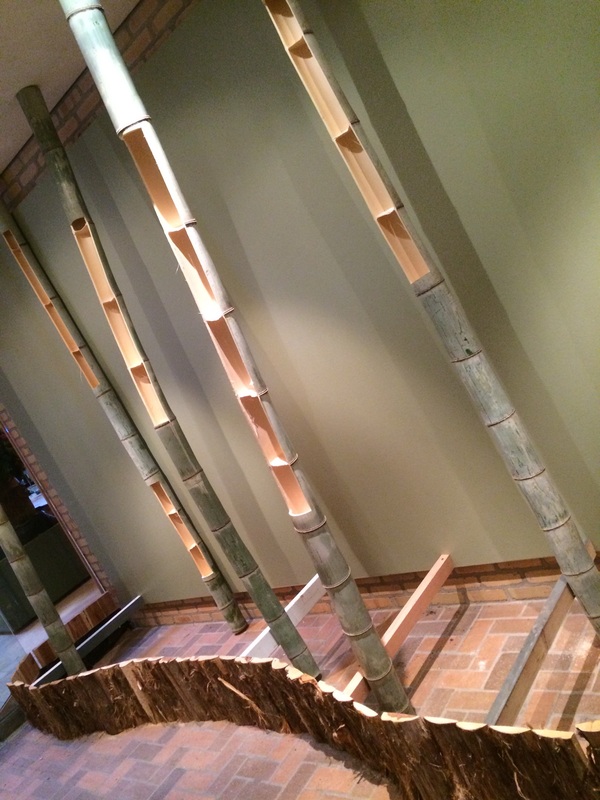 Last Friday, bamboo supports in the Bridge Gallery looked like this. 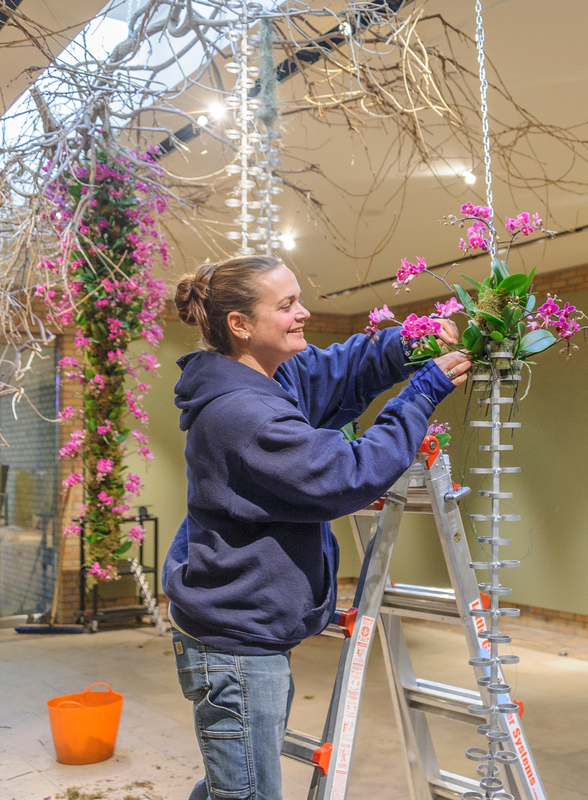 This week, Dendrobium orchids are being layered in, transforming the entrance to the Orchid Show. 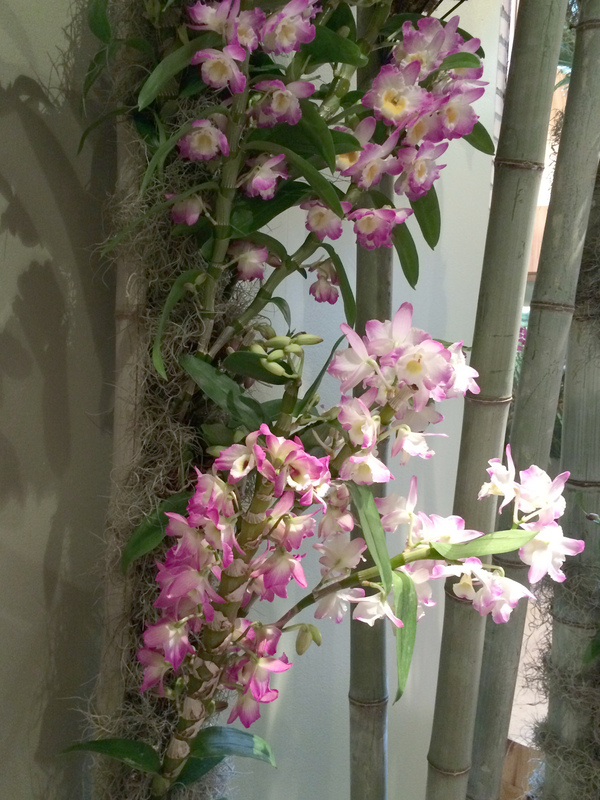 Building orchid nests: the size of a small tree, each orchid “nest” holds 175 to 200 brightly colored orchids. 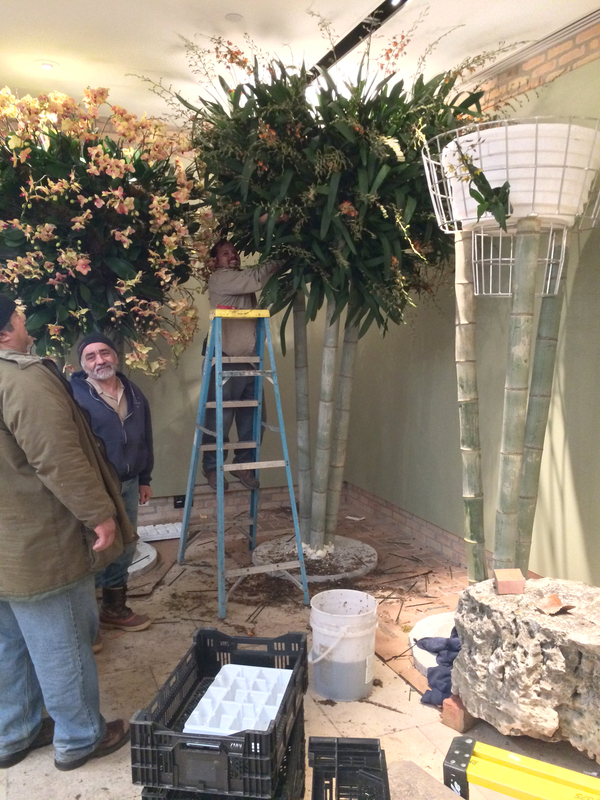 Finished “trees” in both bud and bloom ensure peak blooms throughout the show. Love love love the beauty of this!!!! Thank you for the gorgeous displays!! We share your enthusiasm! 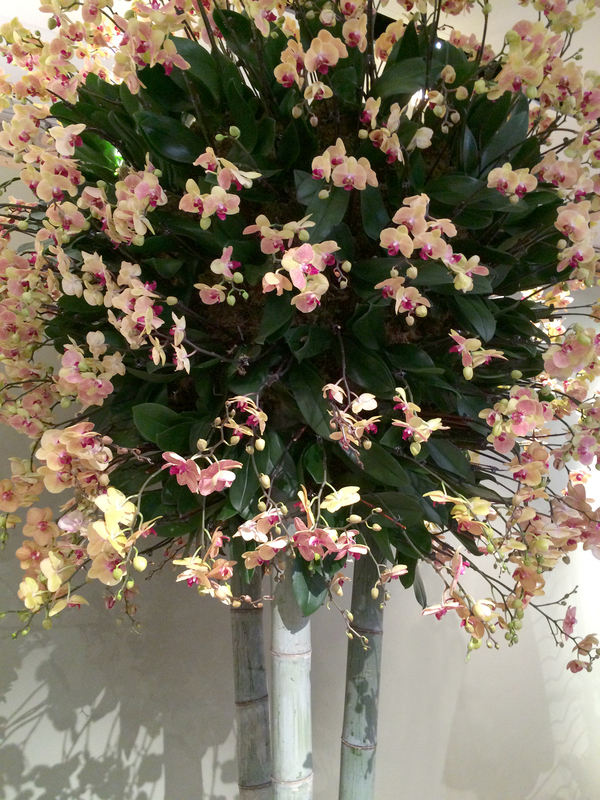 Wait ’til you see these gorgeous orchids in person–many are fragrant, too.